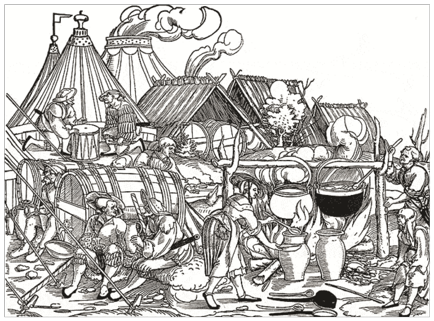 What would your ideal Landsknecht camp be like? Period cooking (and eating) are high on my list followed by period pavilions and furnishings. Gabion or war wagons for a gate. Since my first image disappeared. That would be fun! 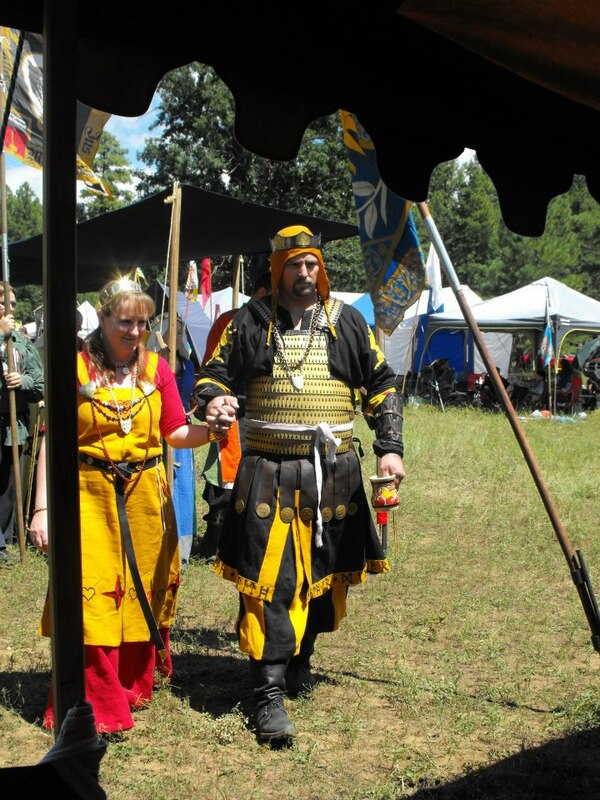 I would also love to properly muster in at the beginning of a major camp (note: I am brand new to this, so please forgive if this is already SOP) -- but I think having the march through the arch of pike to sign in would be both a marvelous spectacle and get one's head properly in the period. The camp and muster are sort of two different things. 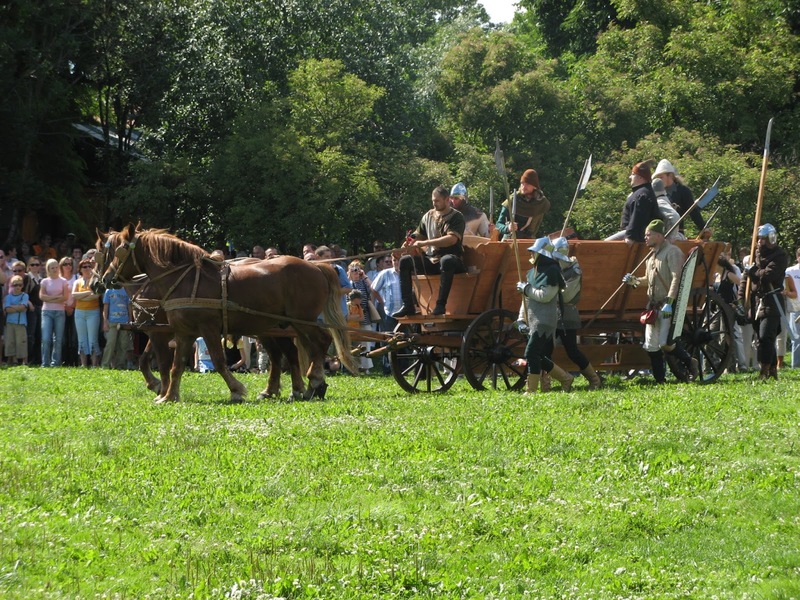 If you wanted a real Landskenecht style spear muster at an SCA war it might be best to start with catching a Crown Tournament winner who really wants to do Landskenecht first. Coincidentally we are in the same kingdom. Our colors are gold & green if that helps. We have had some past kings who have sort wanted to do LK so there is some opportunity. Plan B - win Crown Tournament. 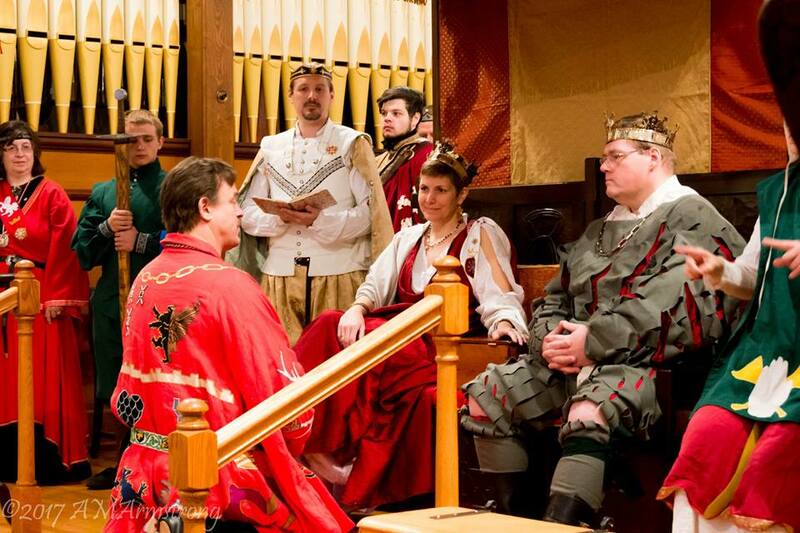 Plan C - coordinate the whole SCA Landsknecht community fighting in every possible Crown Tournament in time to reign during PENNSIC. Imagine the grand court. I have won more than my share of tournament and I like to tell new fighters that I have not figured out how to win every tournament (I may hold a record for making Coronet finals) but I have figured a sure shot 100% method for not winning - don't enter. Being eliminated in two rounds of a Crown/Coronet is still better than the fighters on the sidelines or back home playing video games did. Besides, Crown/Coronets offer a level of practice that you cannot find anywhere else since everyone is stressed and brought their "A game." It also provides a whole new level of motivation to spruce up your armour, guarb, Lady's guarb, and heraldry that will help you play at a higher level. It also guarantees that the King & Queen meet you and your Lady at least once just in case they need to put faces to award recommendations. Imagine a kingdom's peerage suddenly getting an influx of Landsknechts.